The general purpose ultrasonic level transmitter provides continuous level measurement up to 18.0' (5.5m) with a 4-20 mA signal output, and is configured via the free Webcal software. The level sensor has 4 programmable relays with selectable hysteresis and fail-safe logic. The embedded level controller can lower cost by replacing external control hardware. 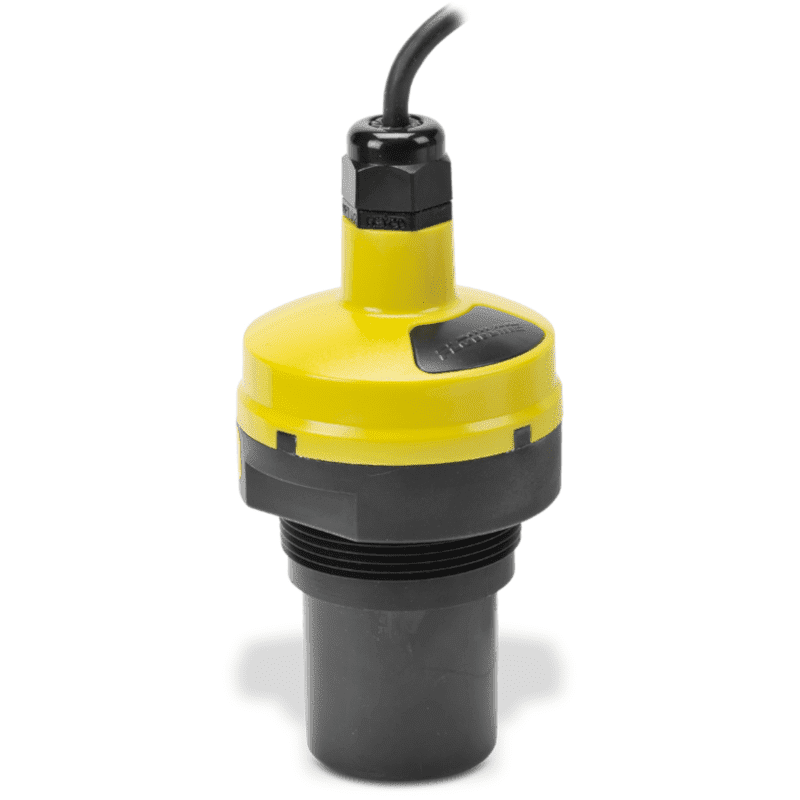 This non-contact liquid level sensor is ideally suited for corrosive, sticky or dirty liquids, and is widely selected for day tank, skid, IBC, sump and process tank level applications.